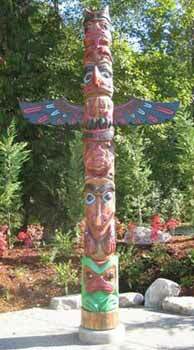 Custom order 16' Totem Pole. Please send email with what animals you want on your totem. Delivery charges will be determined and you will be notified of the cost.